The Ikarray-8 set consists of one HDSP-6 system amplifier, four Paveosub-118’s and each two Ikarray-8 /100° x 15° and 100° x 5°. 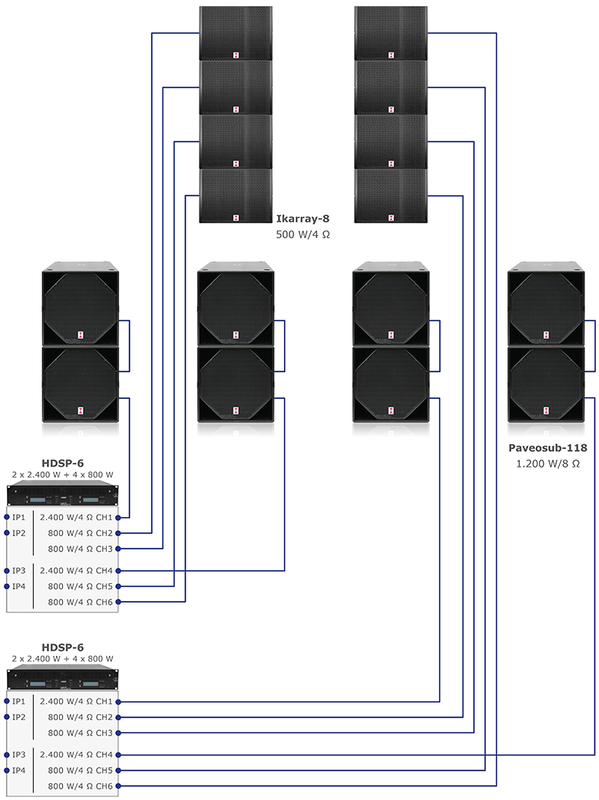 The HDSP-6 system amplifiers is the heart of the Voice Acoustic sound systems. Specific settings are stored as presets on all speakers. These can be selected and loaded via the front panel Display. 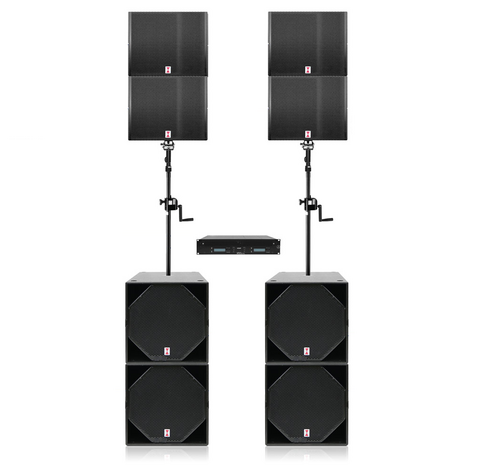 The Ikarray-8 is a novel concept plug&play line-array with incredible power densitity: 2 x 8" and 4 x 1" drivers are stacked vertically in a compact housing. 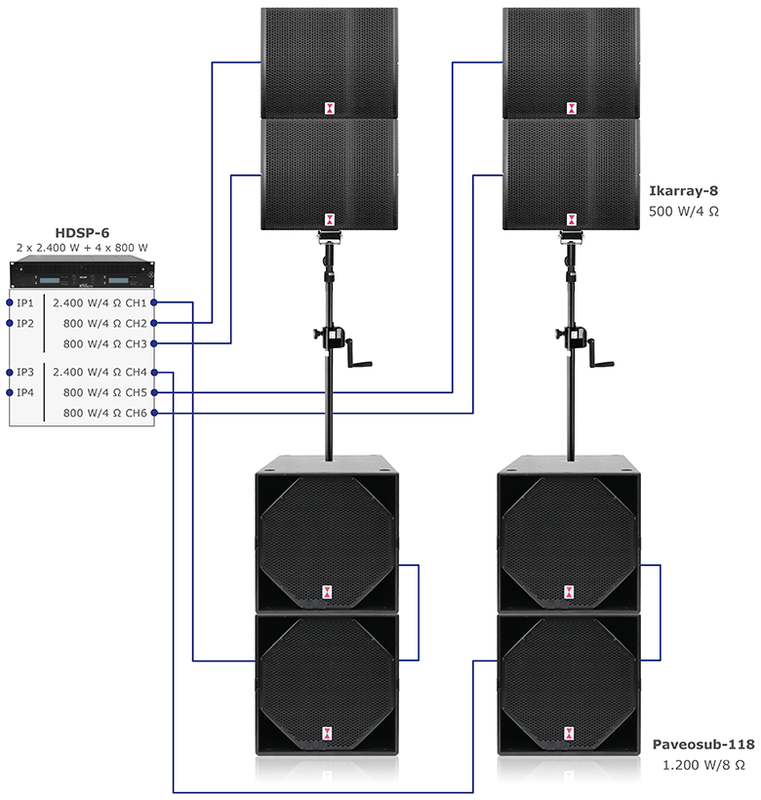 Few elements of this system are needed to achieve acoustically effective length and great range. 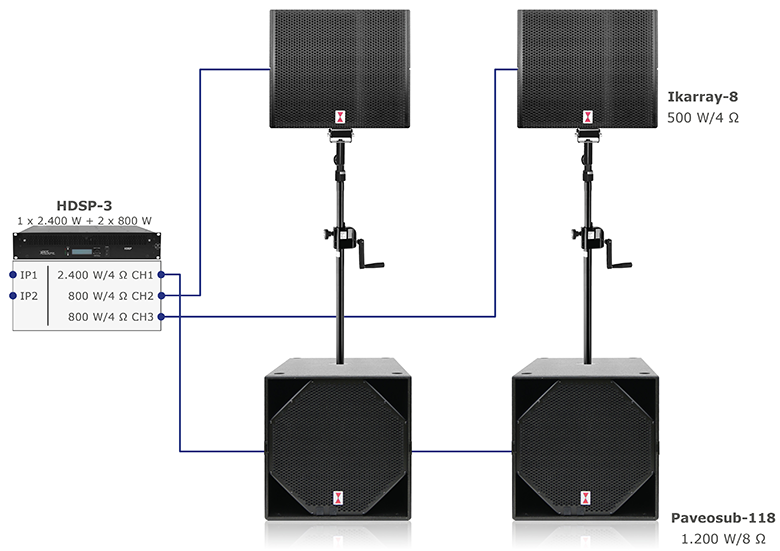 It closes the gap between conventional loudspeakers and line-arrays. Contrary to conventional line-arrays there is no need for the user to deal with simulation software, splay angles, rigging hardware and DSP filters. Ikarray-8 comes precurved and elements are simply connected to each other at fixed angles. For greater flexibility and scalability array elements will be available with 5°x 100° and 15°x 100° directivity pattern. This way, several units can be connected without vertical coverage becoming too big. This results in higher achievalble SPL and headroom compared to other fixed-angle system which are limited to fewer elements. The continuous steel rigging system is concealed within the cabinet and there are no protruding metal parts. 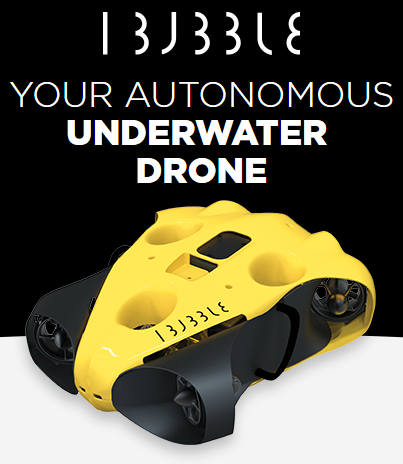 This imparts the system with an elegant and unobtrusive appearance, suitable for sophisticated demands in mobile and especially installation application. Stacking feet and their corresponding slots allow immediate and easy cabinet alignment and connection via ball lock bolt. 4 handles provide optimum handling. Ikarray-8 comes with an innovative 2-in-1 rigging and polemount hardware. For either use it can be fixed without tools on the top or bottom of the cabinet. A slider with threaded spindle allows for continuous tilting without the center of gravity shifting forward or backward. It stays centered on the polemount and the array does not become top-heavy. The 8" woofers have been recessed to optimize the time alignment for the passive crossover. On the other hand the recess has been used to provide the woofers with additional horn loading. The horn flare also makes sure that criteria for a coherent wavefront are met by forming a narrow rectangular outlet. Voice-Acoustic HDSP system amplifiers and self-powered subwoofers contain presets for all 5° and 15° combinations and guarantee optimum performance.